About: Calicivirus is a common viral infection which causes flu-like symptoms in cats. Kittens, senior and immunocompromised cats are most at risk. Transmission: The virus is spread by direct contact with respiratory droplets from an infected cat and contaminated surfaces such as food bowls and bedding (fomites). Symptoms: Calicivirus produces similar symptoms to the common cold in people, including; fever, nasal and eye discharge, sneezing, mouth ulcers, loss of appetite, lethargy, red gums and limping. Diagnosis: Complete physical examination, accompanying symptoms and history. Baseline tests such as biochemical profile, complete blood count, and urinalysis to evaluate the overall health of your cat. In most cases, a diagnosis of calicivirus is based on presenting symptoms. Treatment: Supportive care such as fluids and nutrition while your cat fights the infection. Antibiotics will be given if a secondary infection is present. Keep eyes and nose free of discharge. Calicivirus (FCV) is a common viral infection found in cats that is characterised by the presence of flu-like symptoms such as upper respiratory infection. It is a member of the Caliciviridae family. Around 80 – 90% of all feline respiratory disease complex is due to feline calicivirus or feline rhinotracheitis virus (feline herpesvirus). Dual infection with both feline calicivirus and feline herpesvirus are fairly common. Calicivirus usually affects the throat, eyes, nasal cavity and oral cavity in cats although sometimes the lungs, musculoskeletal system, and intestines can also be affected. In the healthy adult cat, the mortality rate is relatively low, however, kittens, older cats, and immunosuppressed cats are at increased risk. Feline calicivirus is common in shelters and over-crowded environments. The geographical distribution of calicivirus in cats is worldwide. Infection occurs via direct contact, aerosol or fomites (objects such as floors, food bowls, clothing, caregivers). The most common mode of infection is direct transmission from an infected cat. The virus replicates in the respiratory tract and oral tissues and is shed in the oral, eye and nasal secretions as well as urine and feces. Contaminated food bowls, litter trays, flooring, bedding, caregivers etc. Calicivirus is resistant to many disinfectants and can live in the environment for several weeks. It is possible for cats to remain carriers for years after infection. This means even though they have contracted the virus, become sick and recovered, the virus is still being shed in excretions and it is possible to infect other cats. Once the cat recovers from calicivirus he will either stop shedding the virus completely after two to four weeks or go on to become a chronic carrier and shed the virus from time to time, particularly during stressful periods or when he is sick. These carrier cats may or may not display symptoms when they are shedding. The incubation period of calicivirus is between 2-6 days. Secondary bacterial infections can complicate feline calicivirus. It is not uncommon for a cat to develop anorexia (loss of appetite) and dehydration which can further weaken an already sick cat. There is a particularly virulent form known as ‘virulent systemic feline calicivirus or VS-FCV‘ with a mortality rate of 67%. Many symptoms also include the upper respiratory tract, as well as ocular discharge, facial and limb swelling, hair loss and ulceration of the ears, face and feet, jaundice and eventually multiple organ failure. Feline herpesvirus, and feline calicivirus account for 80 – 90% of all feline respiratory disease complex. If oral ulcers are present, calicivirus is most likely. If corneal ulcers are present (eyes), herpesvirus is most likely. Specific tests may be necessary to identify the pathogen involved. Not all veterinarians will recommend these tests as the treatment for viral upper respiratory infections is mostly the same. Polymerase chain reaction and/or viral isolation. Serology to detect coronavirus antibodies. However, this poses two problems. 1) If your cat has been exposed to the coronavirus (and remember, there are many strains) in the past, he will have antibodies. 2) It can take up to seven days for the cat to produce antibodies after infection, so the test may return a false negative. Treatment is generally supportive while your cat’s own immune system fights the infection. There are currently no antiviral drugs available to treat calicivirus. Hospitalisation will be necessary for severely affected cats, however, most cats can be treated on an outpatient basis. Broad-spectrum antibiotics to treat secondary infections. Anti-inflammatories to reduce fever and relieve symptoms of lameness and ulcers. Corticosteroids to treat transient arthritis. Oxygen therapy may be necessary for cats who have having difficulty breathing. Clear discharge from the nose and eyes with a damp gauze soaked in saline solution. If the cat has oral ulcers, offer soft food. As congested cats often can’t smell, warm the food to stimulate the appetite, if the cat has become anorexic, force-feeding may be necessary. Increasing humidity can be of assistance to the congested cat. 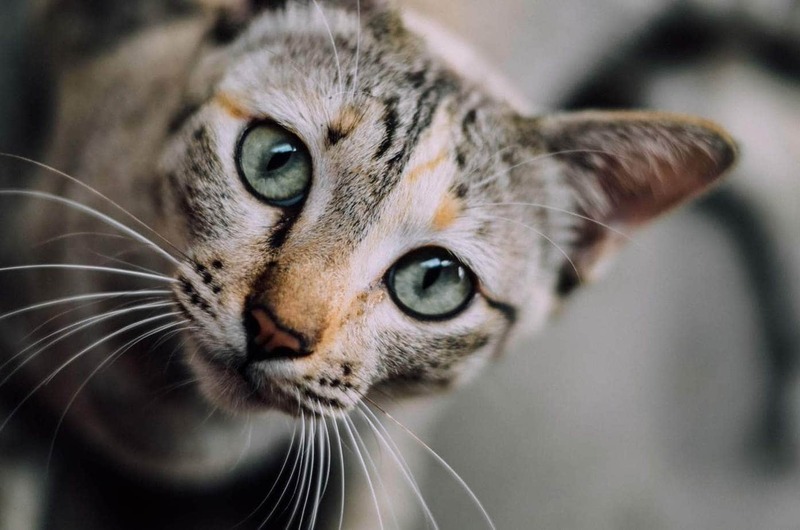 Update, January 2019: The Winn Feline Foundation has recently published a report on the use of two drugs which inhibit viral replication. Nitazoxanide is a broad-spectrum antiparasitic and antiviral drug and a nucleoside analogue, 2′-C-methylcytidine (2CMC). Both drugs have gastrointestinal side effects, however, a combination of the two drugs at lower doses to avoid side-effects shows promise as a future treatment for FCV. Cats can shed the virus for 30 days after infection and in some cases, can shed the virus for the rest of their life. Calicivirus is hardy and can remain infectious in the environment for as long as 28 days. Always apply in a well-ventilated room and wear protective handwear. Follow the manufacturers instructions on the correct dilution as well as contact time. Rinse where people and/or cats will come into direct contact with the surface such as cages and food bowls. Allow surfaces to completely dry. Do not mix disinfectants unless instructed to do so. Routine vaccination of your cat. Vaccines can help to decrease the severity of the disease but haven’t been able to decrease its prevalence. Give at 8, 12 and 16 weeks of age. Avoid overcrowding of feline populations and keep stress down, the more cats in an environment, the greater the risk of calicivirus occurring. Always wash your hands when handling cats, it is easy to transfer the virus on to other cats. Quarantine new cats for one to two weeks prior to introducing him to household cats. Isolate sick cats from other household cats to prevent spreading the virus. Is calicivirus contagious to humans? No, it is not possible for humans to become infected with feline calicivirus.